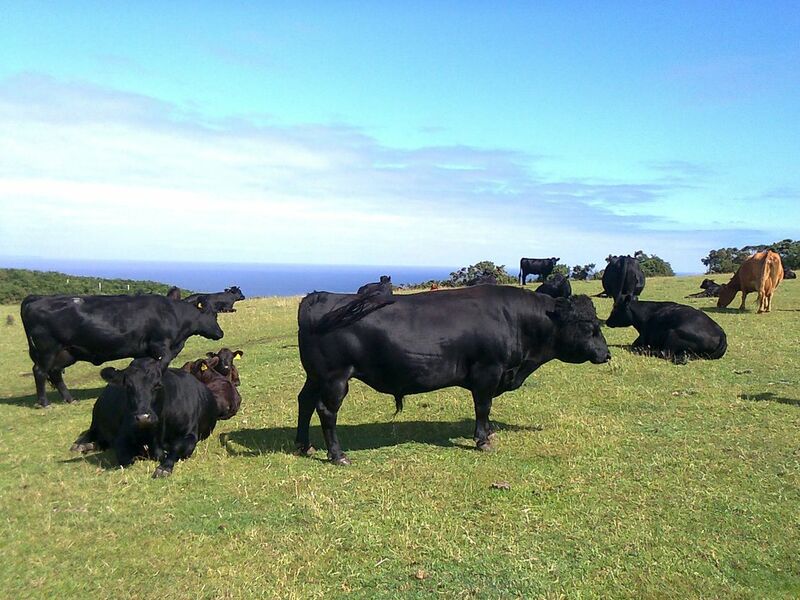 Farming at Penare Farm on the Dodman Point we have bred and taken care of Dexter Cattle for more than 15 years. This ancient, hardy breed is ideally suited for any environment, and it produces delicious, succulent beef. It’s perfect for the consumer, as you get to appreciate tasty beef at incredibly competitive prices. We are always taking orders for beef to fill your freezer. This is a quarter of the whole carcass butchered to your requirements. It will include a complete mix of all cuts from mince to fillet including joints of topside, silverside, brisket, rump steaks, sirloin steaks, pot roasts etc. All the meat is individually packed in vacuum bags and labelled. We charge £9 per kg which is a considerable saving compared to retail pack prices. The total cost is around £250- £300 depending on the size of the carcass. Why not share with friends and relatives? Please get in touch if you need more information. Originating in Ireland, the small, sturdy Dexter Cattle is short compared to other UK-bred livestock. Selected for conservation grazing by our ourselves and the National Trust™, our cattle live on cliff land that they happily graze upon. The breed is great for small holders or larger enterprises, and produce amazing beef that you are sure to enjoy. Our first Dexter Cattle were purchased in 2003, and we have been breeding from this nucleus herd ever since. As the cattle are fed solely on a grass-based diet, the beef is full of health benefits. Living in a free and natural environment, our Dexters live happily, and we have reared them successfully over the years. They are extremely docile and are easy to take care of. Stock is available for both breeding and fattening, and we are always happy to answer any questions that you may have. 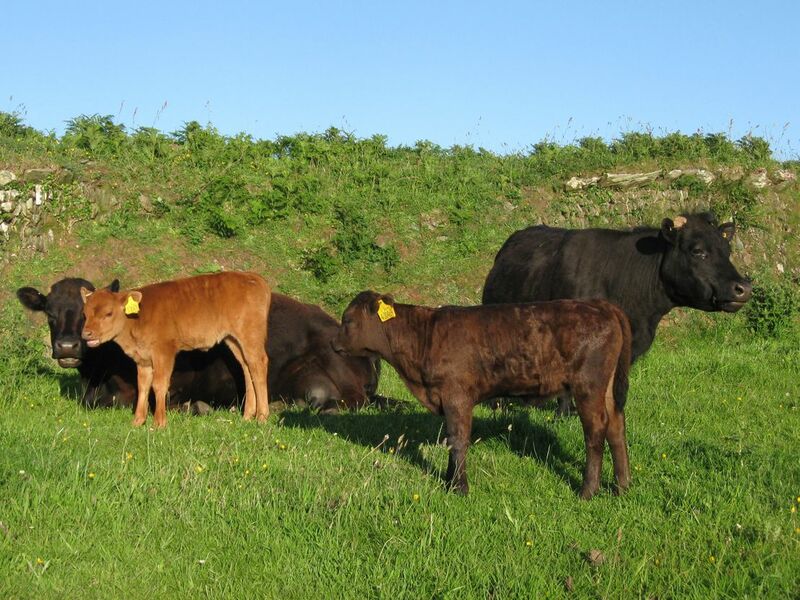 Contact us in St Austell, Cornwall, to find out about our pedigree Dexter Cattle.